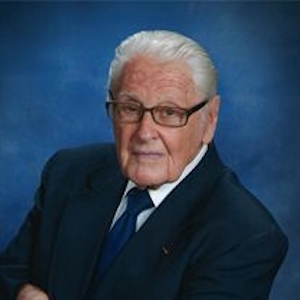 Obituary – Hentges, Dr. James Franklin Jr. « Perry High School Alumni Association, Inc.
Obituary – Hentges, Dr. James Franklin Jr.
Dr. James Franklin Hentges Jr.
James Franklin Hentges, Jr was born February 6, 1925. His parents were born in Indian Territory light years before it became Oklahoma. He rode a horse to rural school during the days of the Dust Bowl and Great Depression. He was the first Hentges privileged to attend high school. He enlisted in the Army and studied as an air cadet at the University of Buffalo NY until all available personnel were transferred to the Infantry. He was assigned to Company H, 309th Regiment, 78th Division and entered combat in 1944. They fought in battles at Hurtgen Forest, Battle of the Bulge, Roer Dam, Ludendorff Bridge and German Autobahn. At the end of the war, he enjoyed one semester at Shrivenham University, Oxford England before discharged one day before his 21st birthday. 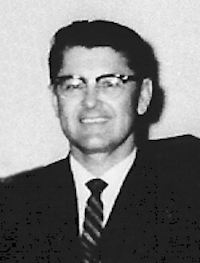 He married Lavaun McGill who helped him earn a B.S. degree at Oklahoma State University and M.S. and Ph. D. degrees at University of Wisconsin. They arrived in Gainesville, Florida in June 1952 where Jim taught, did research and served as major professor for 40 M.S. and Ph.D. candidates. He served on projects in Cuba, Venezuela, Colombia, Guyana, Costa Rico, Nicaragua, Sudan and Egypt. At First Presbyterian Church, he served as Teacher, Usher, Deacon and Elder. After 63 years of marriage, Lavaun passed away in 2007. Jim is survived by one brother, three sons, four grandchildren and three great grandchildren. 106 SW Third St, Gainesville, FL 32601. Interment will be private in Memorial Park Central.